Citizens who witness any form of animal cruelty, abuse, or neglect, or are concerned about the welfare of an animal are encouraged to call 732-363-0200 x5932 to report their concerns. 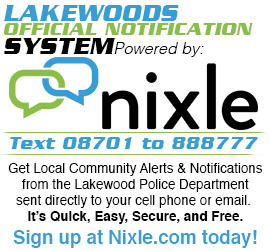 Township Ordinance Violations such as dogs running at large, unlicensed, excessive barking, etc., will be handled by the Lakewood Township Animal Control Officer for enforcement and corrective action. More serous violations, and all instances of cruelty, neglect, or abuse will be handled by a specially trained Municipal Humane Law Enforcement Officer for investigation and possible criminal charges.